Ships from HongKong. Environmental protection, durable, easy to clean. size: 21*16cm. 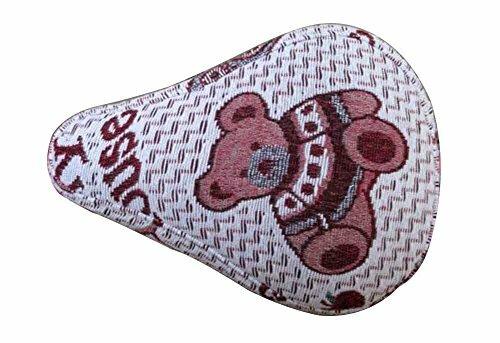 The package includes one bicycle seat cover,does not include the saddle. lovely and fashion seat cover. It can well protect the saddle, but also to make himself more comfortable when riding. Environmental protection, durable, easy to clean. The package includes one bicycle seat cover with no padding,does not include the saddle. lovely and fashion seat cover. It can well protect the saddle, but also to make himself more comfortable when riding.